As the Obama Presidential Center looks for new city approval this week a federal lawsuit is filed opposing the use of Jackson Park. NBC 5's Mary Ann Ahern has the details. As the Obama Presidential Center looks for new city approval this week a federal lawsuit is filed opposing the use of Jackson Park. The group filing the suit, Protect Our Parks, says the Obama Foundation is serving its needs and not the needs of the public. 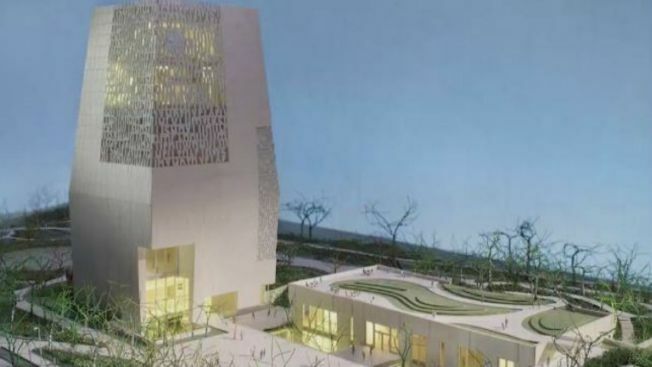 The Obama center plans to build a 12 story building and other structures between 59th 62nd streets along Stony Island Avenue. Streets like Marquette Drive will close. That will impact neighbors and the wildlife as major changes will take place at Jackson Park. Protect our Parks filed a federal lawsuit saying the Obama Foundation has committed "an institutional bait and switch." Friends of the Park, a separate group that fought and prevented building the Lucas Museum near Soldier Field is not a party to this lawsuit. The promise of creating thousands of jobs, as well as a magnet for economic growth, has those who live there divided. Those who've filed suit hope to prevent any ground breaking this fall. The Thursday planning commission meeting is expected to be an all day event — with plenty of debate. If it wins that approval — as expected — then, the changes for the Obama Presidential Center need the okay of the full city council.